Royal & Langnickel have been around for a good number of years now and they have really been the leaders and innovators in the makeup brush industry for years now. Their dedication to creating makeup brushes that truly deliver in excellence is very admirable, and so obvious when you actually use the product. They have a unique way of figuring out exactly what the makeup gurus want from their brushes and they create them exactly in that way. 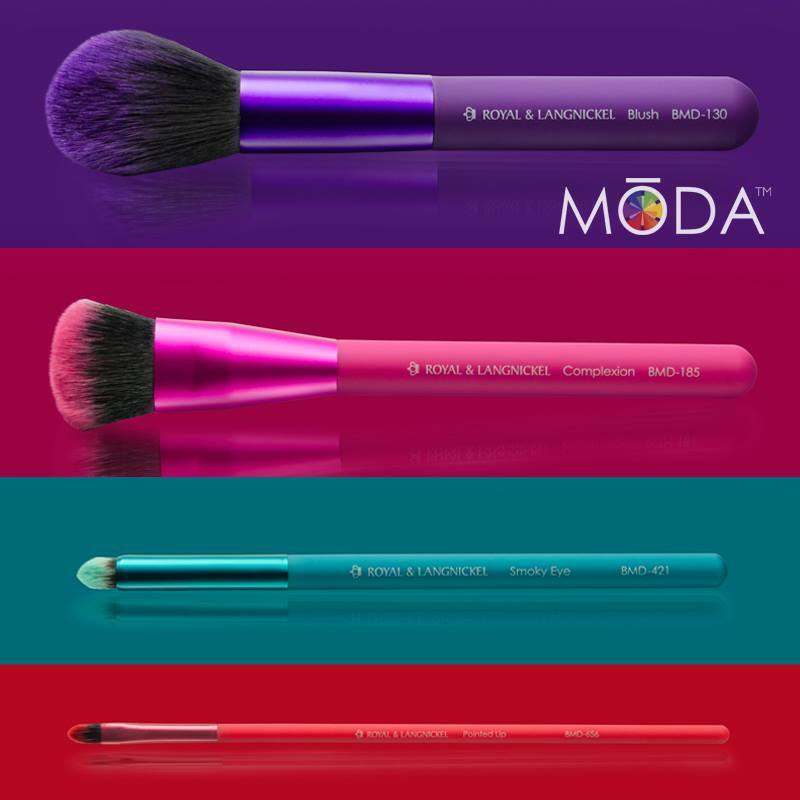 We were uber excited to get our hands on their new MODA Royal & Langnickel makeup brushes range, and of course we were impressed beyond words at how amazing their new MODA range of brushes were, and how beautifully they work! Now because Royal & Langnickel makeup brushes are geniuses inventions and are so good at what they do, they’ve made it easy for you to choose the exact brushes that you need for the type or style of makeup that you use. You can pick and choose from 24 different makeup brushes in the MODA line and of course, then create a collection of the exact brushes that you would use. 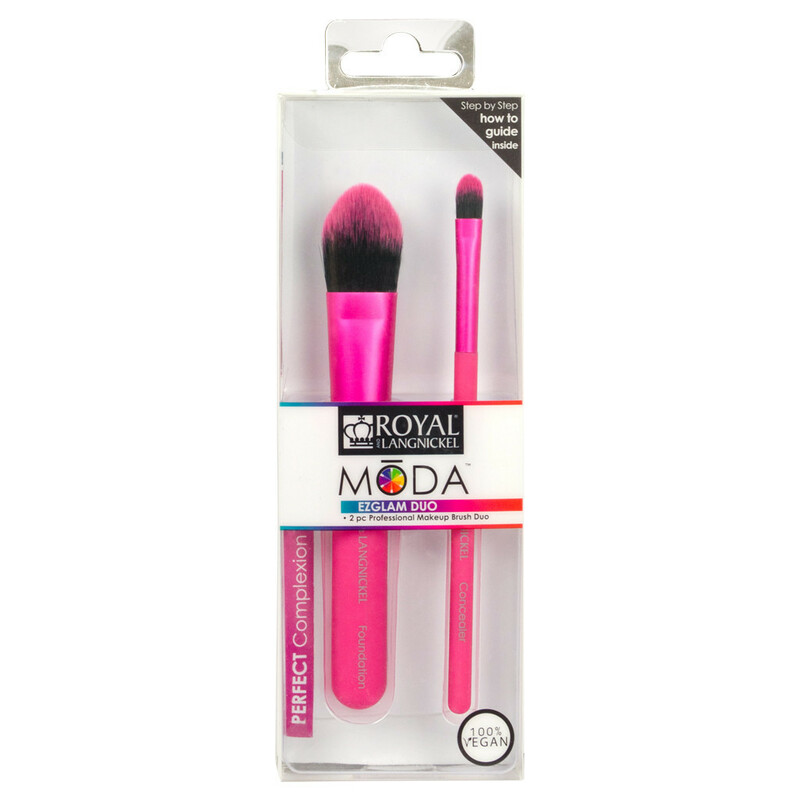 We personally loved all of the brushes we got to try out, but our favourite by far was the MODA Powder Brush. It evenly spread and distributes the powder across your face, perfectly and ever so gently, creating the perfect look for your makeup. 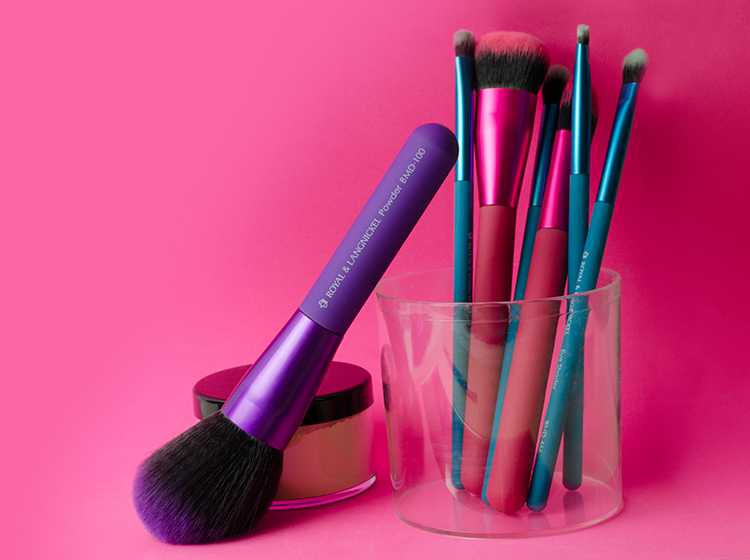 These brushes have all been created with top of the range, vegan safe, bristles, and the tips have been colour coordinated with the modern and chic looking colours of the range, from purples, to corals and turquoises. We’re very much in love with these brushes! These are amazing, because they come in travel sized backs, and in pairs, and of course in the gorgeous colours that they’ve created for the entire range. These MODA Ez Glam packs are great if you travel a lot. Pick the pairs that you need and off you go. With sets like Complexion Perfection, Beautiful Brow and Luscious Lips, you’ll easily be able to create your favourite looks while you’re on the road. Whats really awesome about these kits is that they also include a professional guide to achieve the perfect look! We love these MODA Flip Kits, they’re another perfect option from the MODA range if you’re a traveller and always on the road. 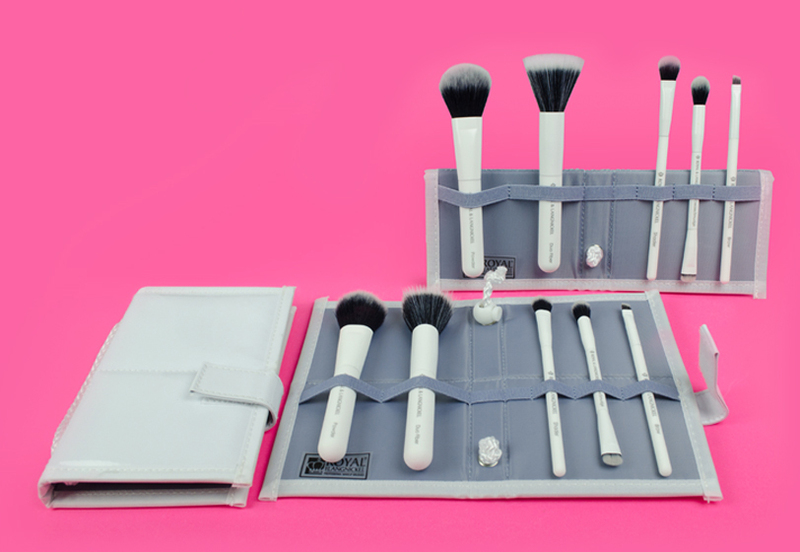 Their equally as great to keep your brushes in order and organised at home too. We love that they come in 6 swanky and fun colours, plus you’ll get to choose from a number of different kits, aimed at different needs, from ‘Beautiful Eyes’ to ‘Total Face’ there’s no doubt you’ll find the perfect MODA Flip Kit for what you love doing most. We just want to take this opportunity to thank the lovely ladies at MODA for including a super cool USB Stick in our pack of MODA brushes, we love it!